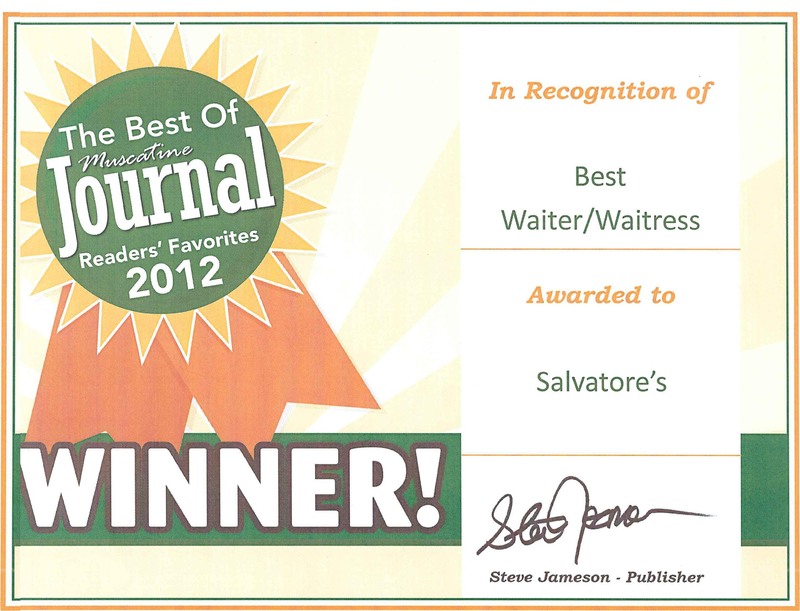 Salvatore's has a long tradition of excellence in food and family dining that has been honored by both local and national experts! Awarded Certificate of Excellence by Tripadvisor! Voted Best Dining in Muscatine! Voted Best Italian Restaurant in Muscatine! Voted Best Pizza in Muscatine! 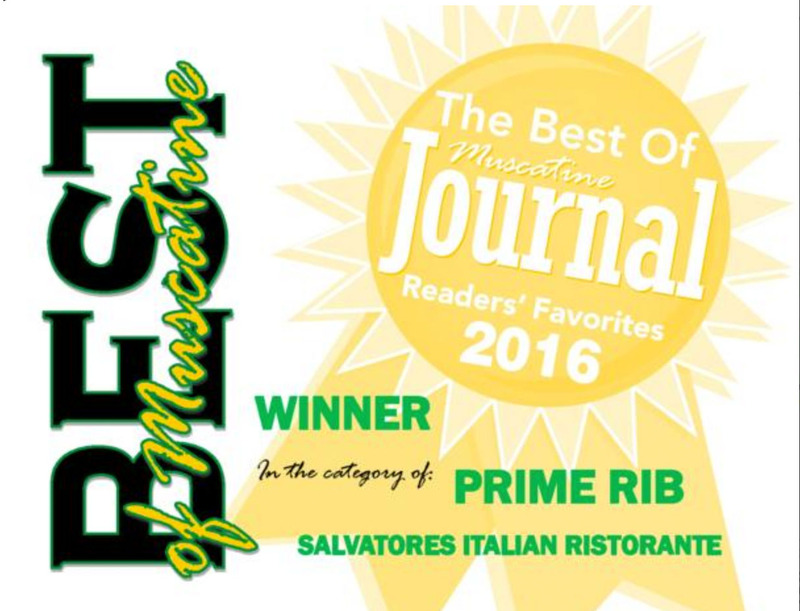 Voted Best Prime Rib in Muscatine! Voted Best Steak in Muscatine! Voted Most Romantic Restaurant in Muscatine! Voted Best Restaurant Atmosphere in Muscatine! 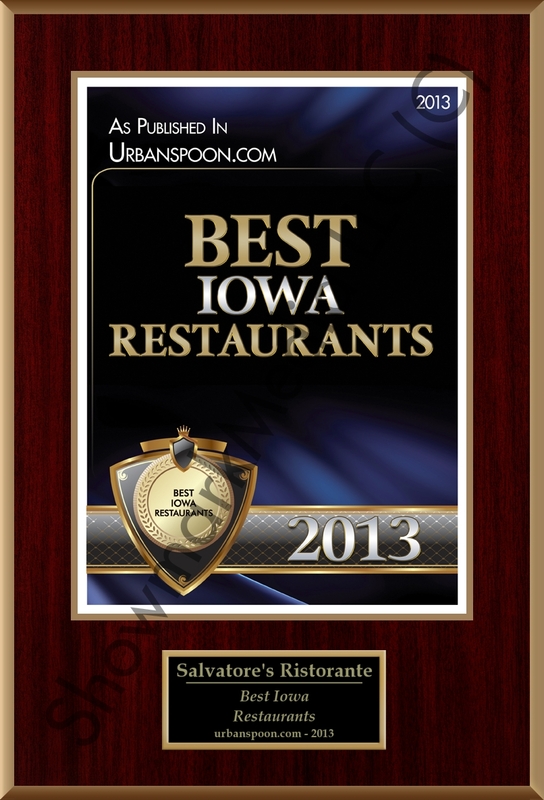 Voted One of Iowa's Best Restaurants by Urbanspoon.com! Voted Best Dessert in Muscatine! 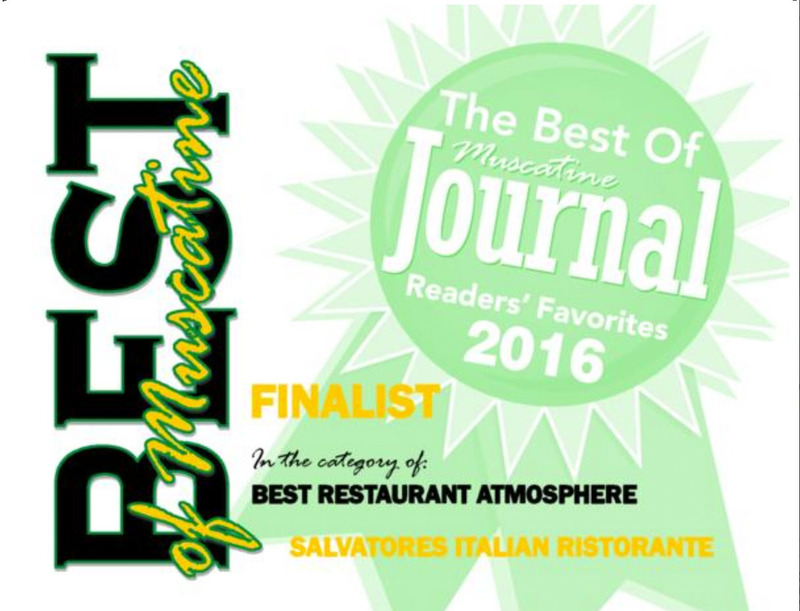 ©Copright 2016 Salvatore's Ristorante. All Rights Reserved.